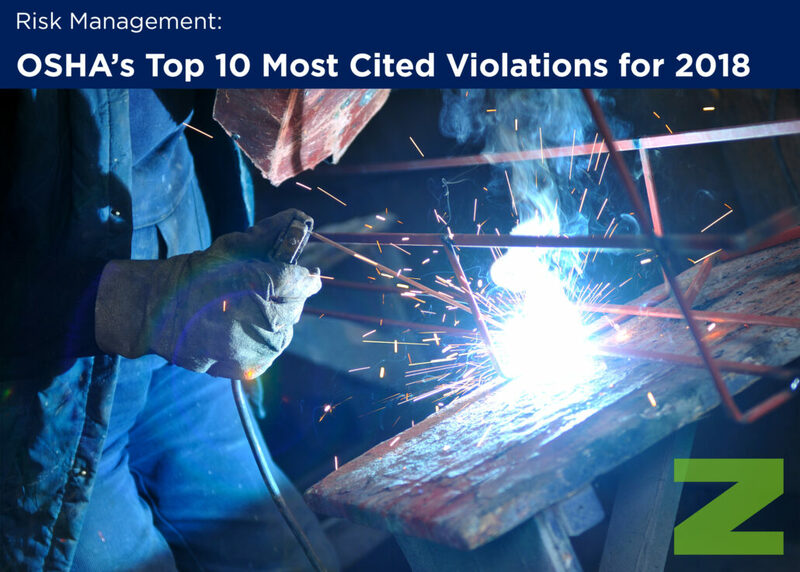 The Occupational Safety and Health Administration (OSHA) recently revealed its preliminary 2018 Top 10 Most Cited Safety Violations in the workplace. In general, the number of workplace safety violations has increased overall. The #10 on this year’s list, Eye & Face Protection, is new to the Top 10 and was not on the 2017 list. There was an estimated total of 32,266 violations in these 10 categories in fiscal year 2018. That is a 12.1% increase in violations versus 2017. NOT ONLY HAVE THE NUMBER OF VIOLATIONS INCREASED OVER THE YEARS, BUT ALSO THE FINES FOR THESE VIOLATIONS. OSHA INCREASED ITS FINES ON AUGUST 1, 2016 BY A WHOPPING 78%. A SERIOUS OSHA VIOLATION NOW COST $12,934 AND A WILLFUL OR REPEAT $129,336 – A COST THAT CAN EASILY BE AVOIDED. 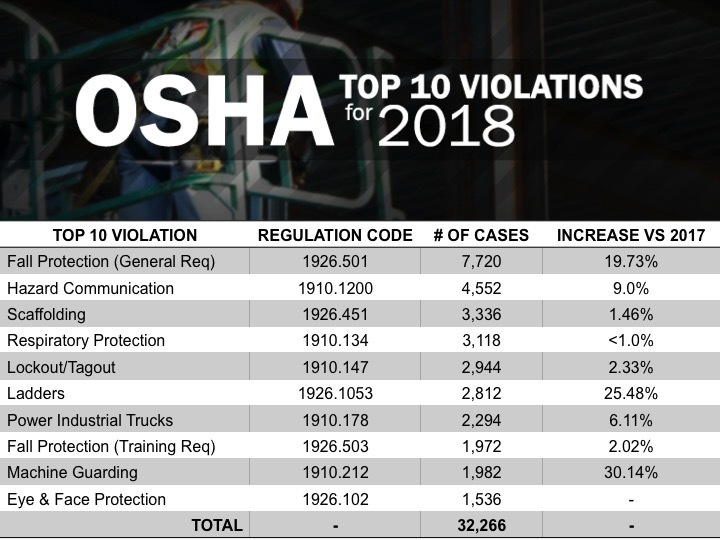 The OSHA Top 10 Violations list is an excellent guide for employers to determine which incidents occur most frequently in their operations and focus their workforce training in these specific areas. For more information on these violations, Industrial Equipment News (IEN) produced a short video Top 10 OSHA Violations. ZORN wants to help your company keep employees safe, productive and on the job every day – AND prevent OSHA violations and fines! In doing so, your company will improve its productivity, profitability and competitiveness. Please contact us to learn how partnering with ZORN can help your company prevent incidents, improve productivity, maintain OSHA compliance and increase profitability.